It’s that time of year again when people of all shapes and sizes are terrified to put on a bathing suit. We fear not only what society might think of us but what we’ll think of our own reflection. The time has come to STOP the insanity! Why do we, as plus size moms, continue to deny ourselves fun experiences with our kids? 1. Allow that comment to swallow you whole and refuse to ever put on a swimsuit again. 2. Allow the comment to sting for a moment but quickly shake it off. That person is obviously just misdirecting their own insecurities upon you. Go back to having a blast with your family in the sun. That’s it! It’s really that simple. The truth is only you can provide someone with the power to get under your skin. You’re worthy of a pleasurable swim and your kids will cherish the memories you’ll create together. Not to mention how much safer your kids are while within your arm’s reach. Still not ready to take the plunge? 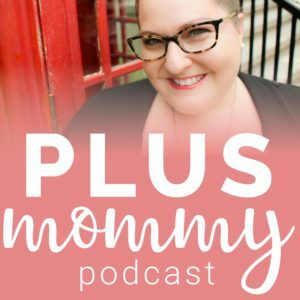 Find inspiration in the video below and listen to the Embrace Your Summer Body And Suit Up For Summer Fun episode of the Plus Mommy Podcast. Stop being a bystander and start enjoying summer! What are you waiting for? Suit up for shameless summer fun! I love the video thank you so much for including me . There were so many beautiful mommys and ladies in this video ! Thank you so much Sarah for being apart of it!